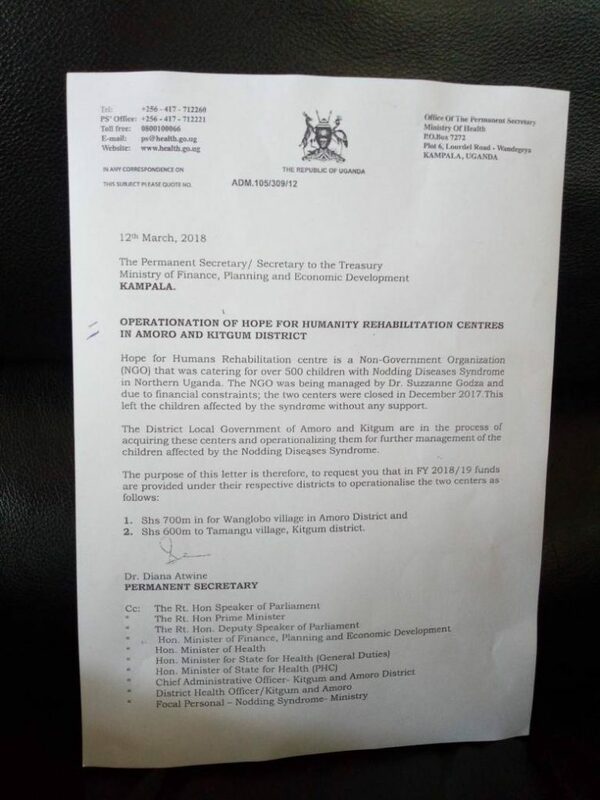 The permanent secretary in the ministry of Health Diana Atwine is in trouble for reportedly blocking Shs 1.2 billion meant to cater for over 600 children suffering from nodding disease syndrome in Northern Uganda. 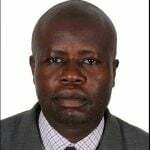 In a letter seen The Nile Post dated March 12 and addressed to Speaker of Parliament, Office of the Prime Minister among others, Atwine stated that the allocation of the required amount will be catered for in the financial year 2018/19 treating it as normal business. This angered MPs including deputy speaker, Jacob Oulanyah who suspended the sitting up to 27th of this month until the matter is handled. The legislators who attended the Friday sitting were bitter with Atwine’s letter and vowed to put the health ministry to order. MPs have called for the sacking of Atwine and the censure of Ruth Aceng, the minister of Health. Led by John Baptist Nambeshe, the Manjiya MP, the legislators said they shall start collecting signatures next week. While adjourning the House on Friday, Oulanyah said: “As I speak honourable members, government does not know what an emergency is and we have been talking of this matter and nobody has responded nor ministry of Health neither ministry of Finance in terms of emergency response and so it’s like government is treating this as normal business and therefore, this House cannot proceed with business until this matter is resolved”. Michael Mawanda, the Igara East MP said that it appeared as if government was responding negatively and it’s a matter affecting his constituency and people feel bitter when government neglects them. Mwine Mpaka Youth MP western region said, good health is a common good meant for all and belongs to all. “We have raised this matter in the Gender committee and we’re coming out as members of parliament from the western region to fight for this cause because government is wasting money on useless things without fighting for the plight of its masses,” he said. John Baptist Nambeshe the Manjiya County (nrm) “this is an emergency that requires emergency operation and today is when we expected the ministry of finance to honor his pledge but to our dismay, he received a letter from the permanent secretary ministry of finance Diana Atwine stating that this is not an emergency which needs immediate fund and referred it to 2018/19 financial year budget to which Nambeshe has attributed it to arrogance and treason”. David Bahati, the minister for Finance said government shall look for the nodding disease money. 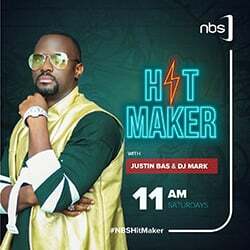 He said: “I made a commitment on the floor of parliament to look for this money amounting to a tune of Shs 1.2 billion and there were some hiccups within the ministry of Health but we’re going to resolve it today”.